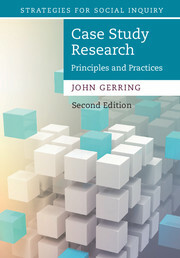 John Gerring's exceptional textbook has been thoroughly revised in this second edition. 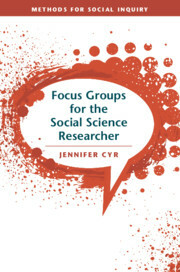 It offers a one-volume introduction to social science methodology relevant to the disciplines of anthropology, economics, history, political science, psychology and sociology. This new edition has been extensively developed with the introduction of new material and a thorough treatment of essential elements such as conceptualization, measurement, causality and research design. It is written for students, long-time practitioners and methodologists and covers both qualitative and quantitative methods. 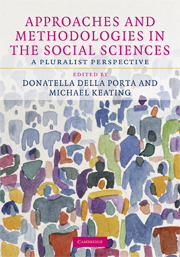 It synthesizes the vast and diverse field of methodology in a way that is clear, concise and comprehensive. While offering a handy overview of the subject, the book is also an argument about how we should conceptualize methodological problems. 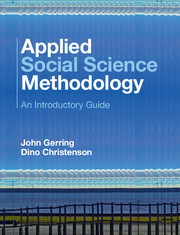 Thinking about methodology through this lens provides a new framework for understanding work in the social sciences. 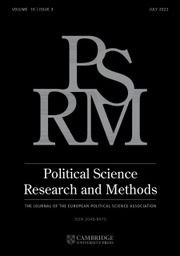 "Social Science Methodology speaks across paradigms. It is a 'must read' not just for graduate students, but for scholars across fields as Gerring gets to the core of what social scientists do. The bottom line is that readers reach a practical end, which is knowing what approach to use when and how to adapt based on the question posed." "Gerring's book is simultaneously provocative and wise. It is the former in that it advocates for a unified (though not singular) social science methodology. It is the latter in the many ways it recommends that we think about and do science. 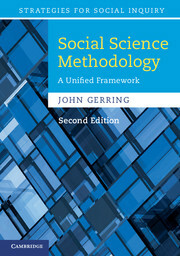 On the one hand, Gerring has offered a compelling case for what unifies social science methodology. This should be debated for years to come. On the other hand, students of social science will benefit enormously by closely reading this sage volume. They will find particularly valuable his thorough, but nontechnical presentation of causal analysis." "The second edition presents a remarkable updating and expansion of Gerring's arguments and presentation. A tremendous amount of careful work went into the revisions, and both methodologists and teachers of methodology owe Gerring an enormous debt for producing an even more compelling version of what was already an outstanding book." 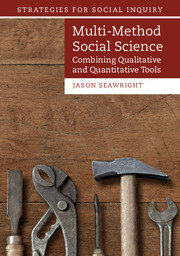 "Social Science Methodology is a book with a wealth of well-organised material aimed at both students and practitioners of social science." Appendix: a few words on style. John Gerring is Professor of Political Science at Boston University, where he teaches courses on methodology and comparative politics. He has published several books including Social Science Methodology: A Criterial Framework (Cambridge, 2001), Case Study Research: Principles and Practices (Cambridge, 2007) and A Centripetal Theory of Democratic Governance (Cambridge, 2008). He served as a fellow of the School of Social Science at the Institute for Advanced Study, Princeton, New Jersey, as a member of The National Academy of Sciences' Committee on the Evaluation of USAID Programs to Support the Development of Democracy, as President of the American Political Science Association's Organized Section on Qualitative and Multi-Method Research and is the current recipient of a grant from the National Science Foundation to collect historical data related to colonialism and long-term development.